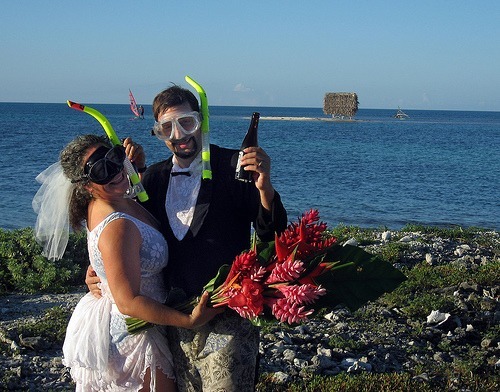 You can charter our island for the entire week for your Belize wedding package; we would love to host your wedding in Belize. Our island is very remote and unique, not only in Belize but in the Caribbean. 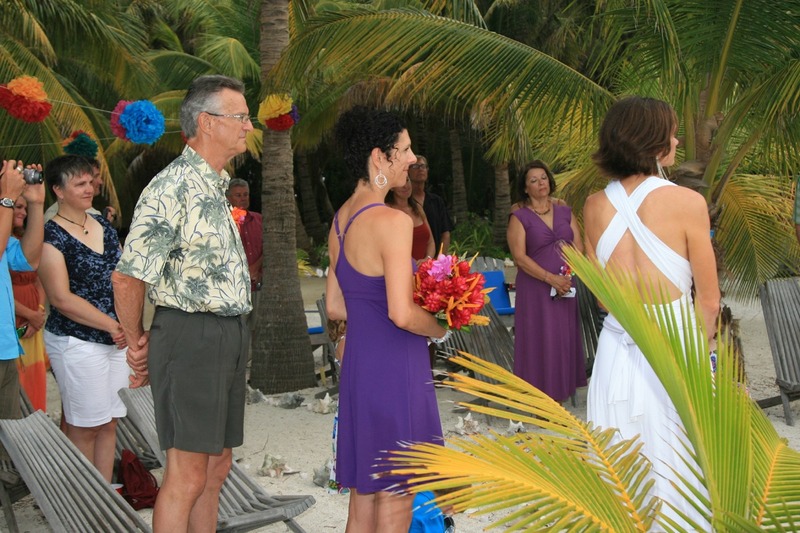 We hope that you will decide that our island is the best Belize wedding location for you. First and foremost, our island is truly a private island. There is no other facility but the dive shop; our facility would be yours for the week. This is unheard of in the Caribbean; almost every island resort share their island with many other hotels. Second, our island is an undeveloped as possible. If you come from a camping background, you would consider it cushy, but if your background and expectations are from a more traditional standpoint, you would call it ‘rustic’. 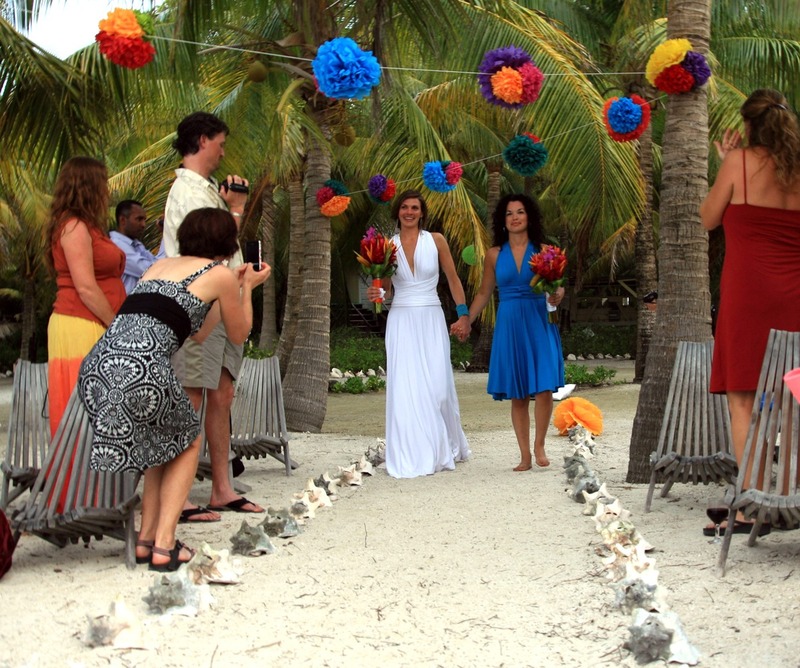 Many would not consider our facilities adequate for a wedding, so you need to consider the needs of your group. We do not have flush toilets but use ecologically-friendly composting toilets (we flush nothing into the sea.) Also, there are no toilets attached to the rooms, you must walk to the toilets and showers, which are unheated. You can read more about our island facilities elsewhere on our site. 1 The minimum number of paying guests we need for the charter price is 24. We can sleep 42 in our Belize bungalows when totally full: double, triple, and quadruple occupancy. However, we rarely reach that number because you would have to have the exact number of families of 3, 4, etc. that we can accommodate, which would be unlikely. More commonly our maximum is 38. We can discuss this more by phone if you need more information. 2 On most weeks during the ‘high’ season (December – April), another group comes out to the island on Wednesday (our Belize Adventure Week group). 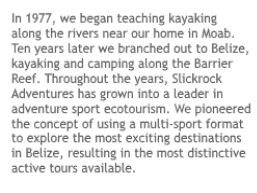 If you do not want this group joining your group, then you have to charter 30 guests instead of 24, so that we count the Belize Adventure Week trip for that week as ‘full’. This does not apply when chartering the First Half itinerary. 3 For groups up to 24, the cost is 17.5% off of our regular rate of $2425/person for the full week, which comes to $2000.63 each. For groups larger than 34, the discount is higher, see charter policy. Children pay the same as adults, unless you don’t need to count them towards your total to reach a certain size for a higher discount. If you wish to pay children’s rates, see Kid’s Policy. 4 Free spots: two free spots for 24-34 paying guests and 3 free spots for 35+ paying guests. The free spots may also be split amongst all members of the group, bringing everyone’s price per person down. However, when you charter, note that no one books individually, we accept balloon payments. This is explained in the charter policy also. 5 This is for one week on the island, (6 full days, 2-1/2 days, 7 nights) with hotels and restaurant meals before and hotel after. The complete list of exactly what is included and exactly what is not included is listed below. Almost everything is included, but the few things that aren’t you need to be aware of. 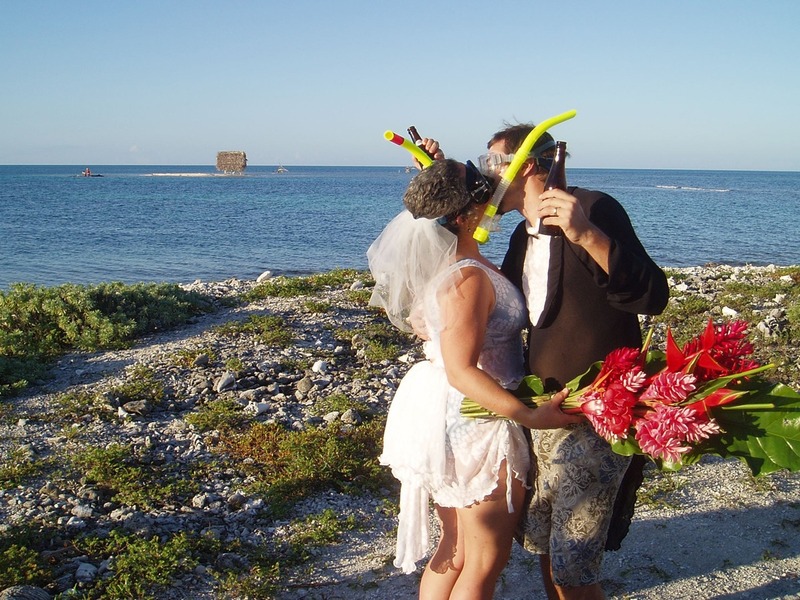 The Belize government has special rules for providing marriage licenses in Belize. Please request those from us. No other place in Belize comes close to our island in privacy, exclusivity, and the pristine quality of our reefs. It’s one of the most magical spots on earth. Please join us with your wedding party!